An island lying off the east coast of Africa, in the Indian Ocean, Grande Comore has a rich and inspiring history from years of trading. 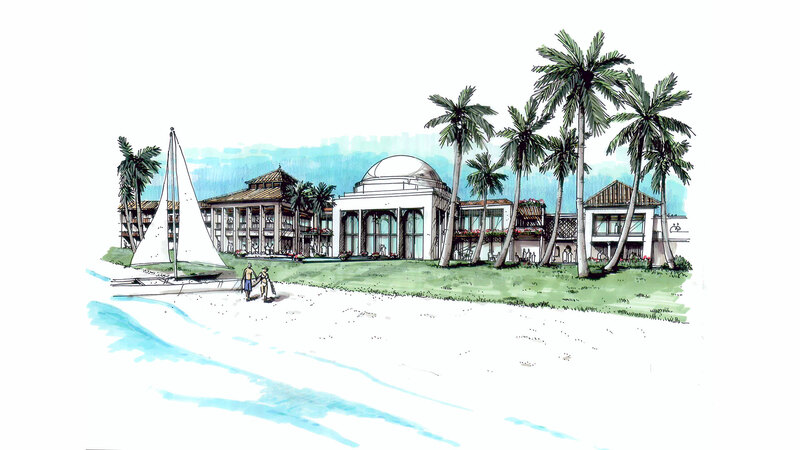 The brief was the design of a resort hotel, villas and spa on the site of an abandoned hotel. 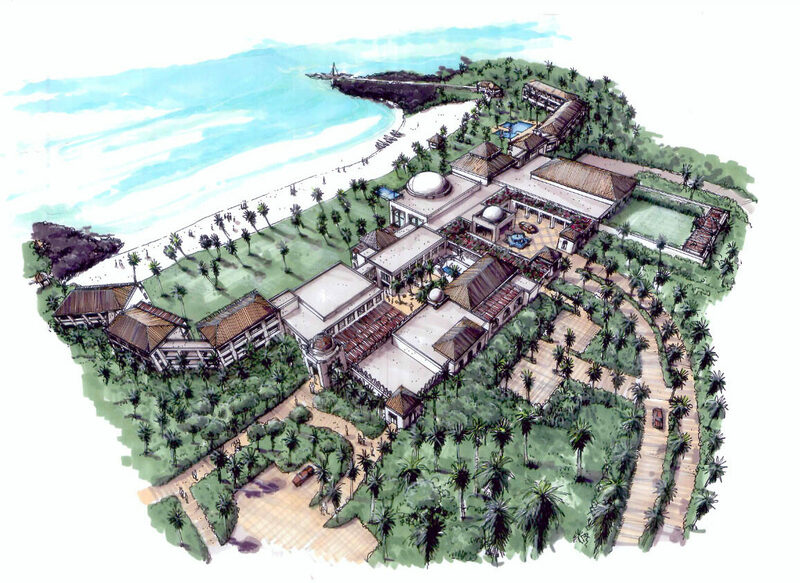 The site design celebrates three white sand beaches that lead to crystal clear blue waters, juxtaposed with course volcanic rock outcrops. 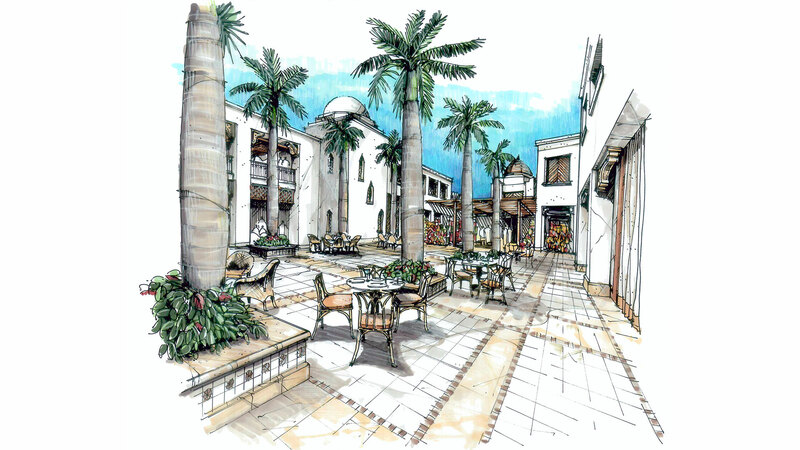 The design of the hotel embraces the island’s Arabic roots, with a souq (Arabic market) as a central organizing feature, bounded by restaurants and retail. 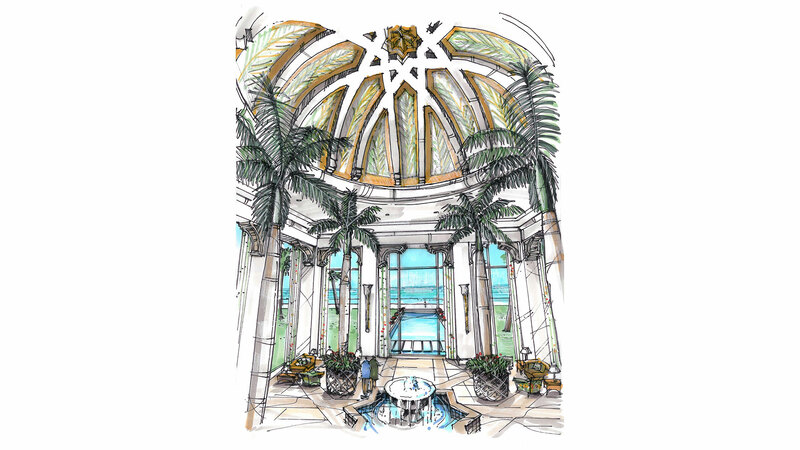 The architecture’s language references the Arabic culture, as well as colonial and traditional island building typologies.